The New York Times reported this year that the student housing market is booming, with big real estate developers and institutional investors all eager to get in on the trend. Student property investment is appealing to individual investors as well: college students provide a reliable stream of income for landlords. If you are considering becoming a student housing landlord, take note of the various pros and cons that come with this kind of real estate venture. Here is a list of items you should consider if you are thinking about going into student housing as a landlord! Mom and Dad usually help with the payments. You can also alleviate any concerns by asking a parent or guardian to co-sign the lease. Students often have loans and grants to subsidize their housing costs. Some scholarships offer rental assistance to students, as well. Because these students must maintain a good GPA, this is another assurance that they will be taking their studies and their obligations seriously. The economy and culture of a university town are generally stable. Colleges, unlike corporations, rarely close up shop. The presence of a college in your town is a good indicator you will always have consistent renters. Even when your student tenants graduate, new ones will always be moving in to take their place. In an uncertain economy, many people are going back to school for advanced degrees. They know that masters degrees and doctorates will better their job prospects. Many students come to the United States from other countries seeking an American degree. All of these students need a place to live. Graduate students, in particular, are less likely to choose to live in a dormitory; if they are married or have a family, they often prefer to live off campus in an apartment or multi-family dwelling. Student housing used to mean dilapidated homes with limited amenities. But this myth no longer rings true. Maintaining a higher quality housing unit increases the value of your student property investment. 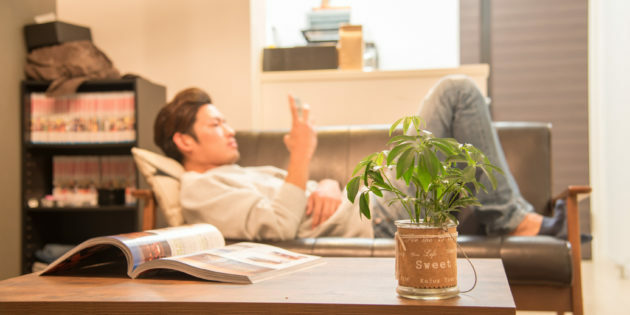 Students have become more sophisticated consumers, seeking more perks in their living spaces. Students now seek upscale housing with Wi-Fi, views, full kitchens and pools. Frat houses are now less attractive than top-of-the-line condos. Make sure you choose a property which is within walking distance of the local college. Potential student tenants value being close to public transportation, grocery stores, laundromats, and nightlife. Even if they have high-class taste in furnishings, students may still engage in some behaviors which make landlords pause. Parties and high jinks can expose the owner of student property to liability. If you decide to own a student property investment, you need to purchase insurance. You need to protect yourself against all of the kinds of risks being a landlord entails. Tenant insurance will protect you against lawsuits filed if someone injures themselves on your property. In certain states (like California), you will need extra protection from claims arising from such conditions as second-hand smoke, pesticides, or the actions of contractors or pets. Make sure you factor the costs of tenant insurance into your budget when you are calculating the ROI on your student housing investment. While a student property investment can reap reliable income from an ongoing influx of students, you will not always have the same students living in your space. You may even expect to have a different group living there every year. Landlords can also use market and advertise their property to keep them occupied. Luckily, most universities offer online or real life bulletin boards to post about housing vacancies. It also helps to run credit and background checks on the people living in your real estate. 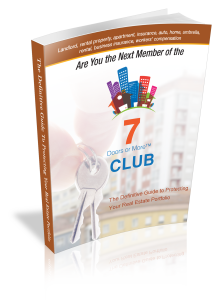 You’ll devote a lot of time and energy to vet new tenants. When these tasks are required every year or even every semester, you may need additional help in the form of staff to keep your housing running smoothly. There is one advantage to high turnover in this rental market: rent control is rarely an issue because of the frequency of tenant moves. You will be able to raise your rents as you see fit and as the market allows. If you own multiple student housing investments, it can become a full-time job monitoring maintenance projects, rent payments, security deposits, and complaints. If your student property investment is only one aspect of your portfolio, you may not have the capacity to tend to it exclusively every day. You may end up needing a property manager. If you live in another city, you should hire a property manager to make sure your rental is being well cared for and that business is being taken care of. Despite the risks associated with a young transient population, there are many ways you can hedge your bets and make sure the investment pays off over the years. Be prudent in selecting your investment property location. If you follow these tips, you will find that investing in the student housing market can be a dependable way to generate income. Speak to an insurance specialist at Insurance by Castle for ways to explore and take advantage of opportunities in this lucrative area. You may find the potential benefits far outweigh any risks!